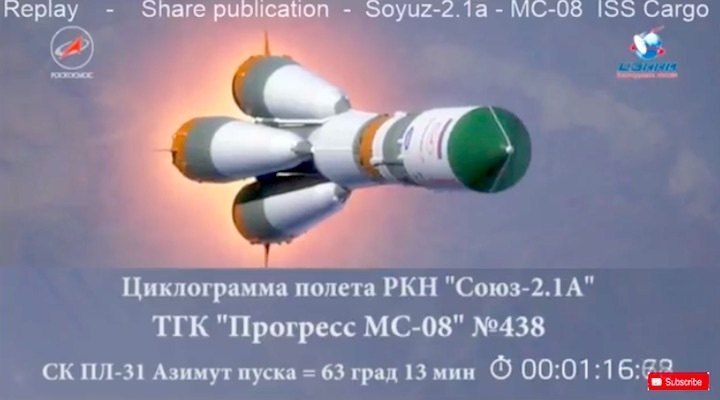 Launch of Soyuz-2.1a carrier with Progress MS-08 cargo ship was rescheduled for a reserve date of February 13, press service of the space authority, Roskosmos said on Sunday. 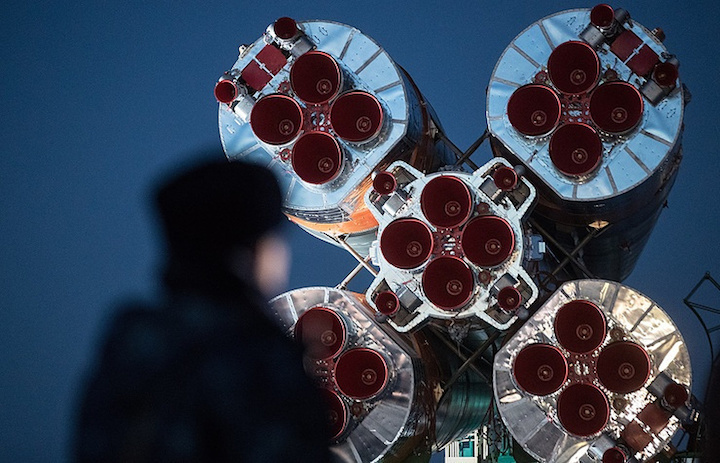 "During the start, came an order for automatic tuning off the engines, the reasons are to be advised," the authority said. 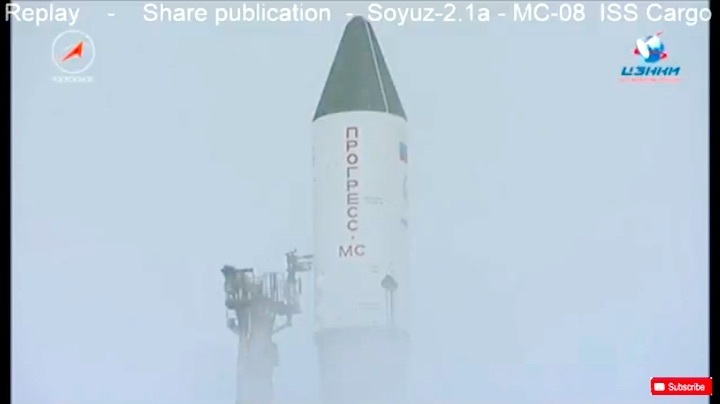 "The launch is rescheduled for a reserve date - February 13". 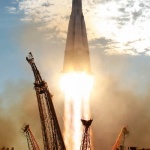 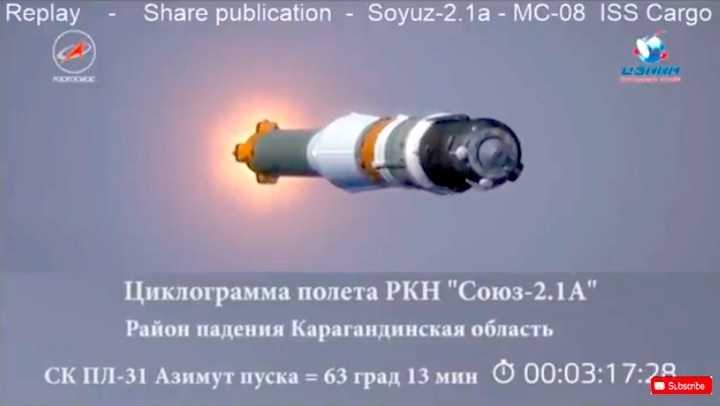 Later a source at the space sector told TASS that a glitch of onboard and ground parts of the computer system of the ship was to blame for the reschedule. 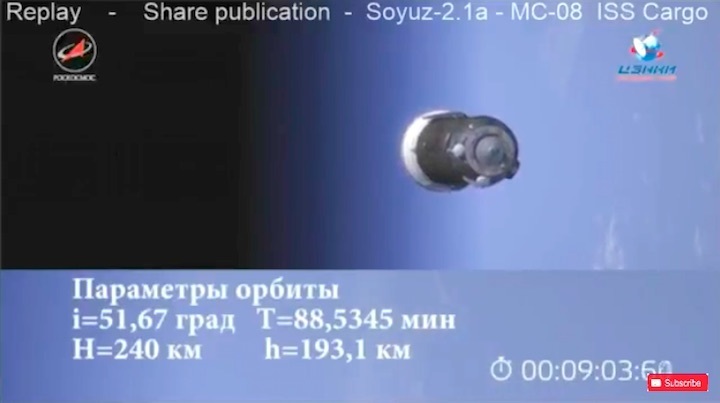 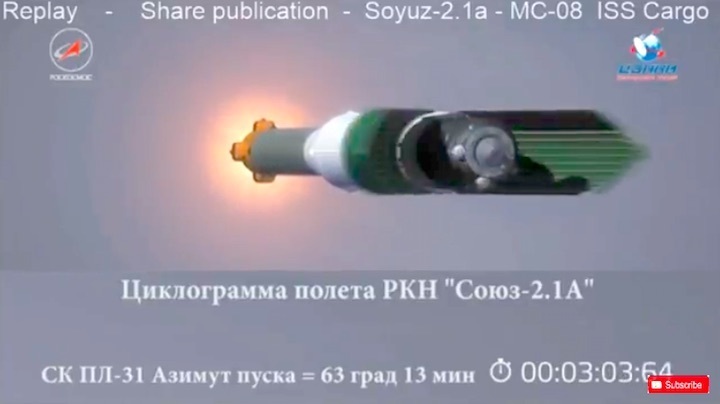 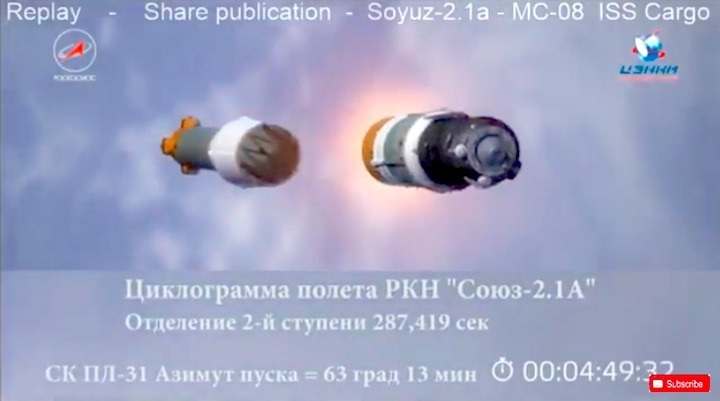 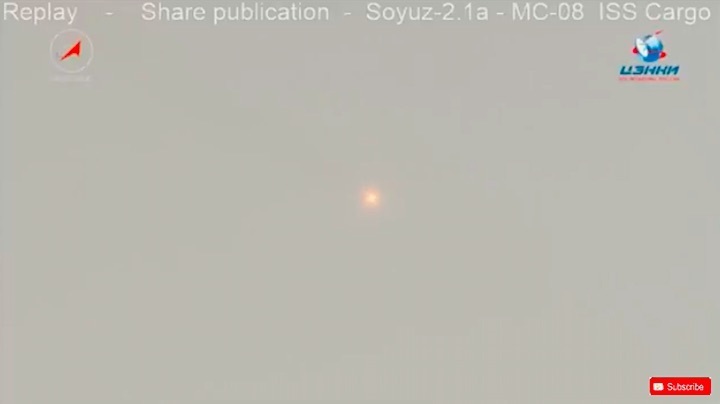 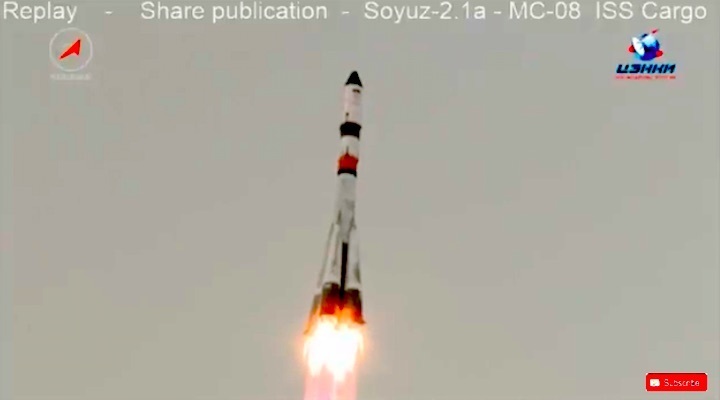 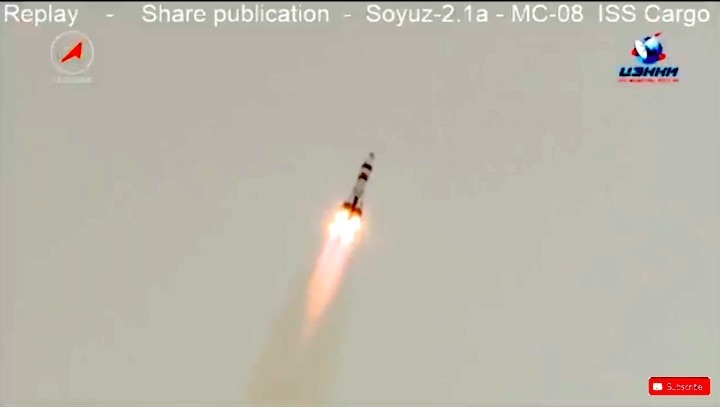 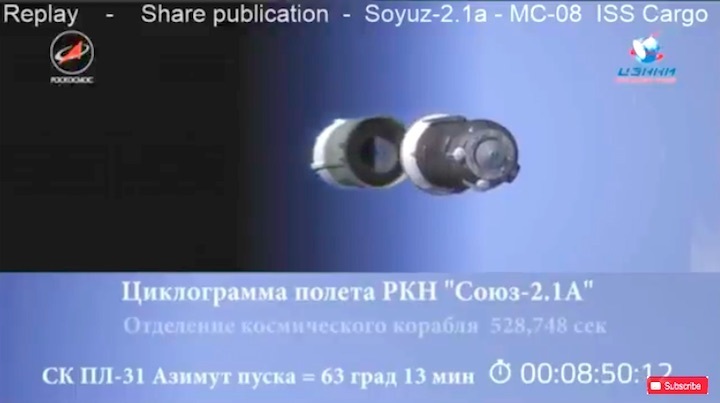 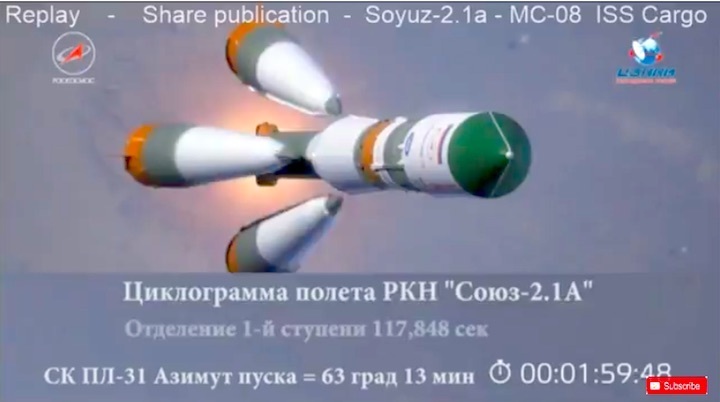 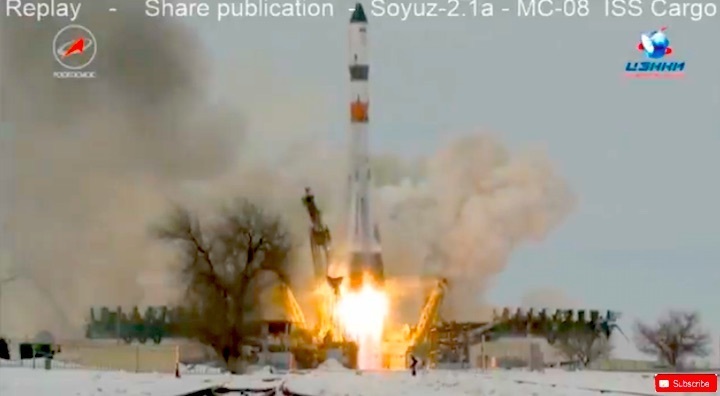 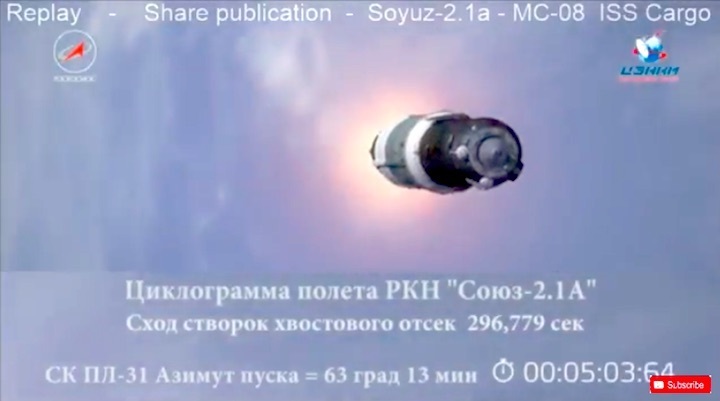 "A glitch of onboard and ground parts of the central system is similar to the problem during October launch of Progress MS-07," the source said. 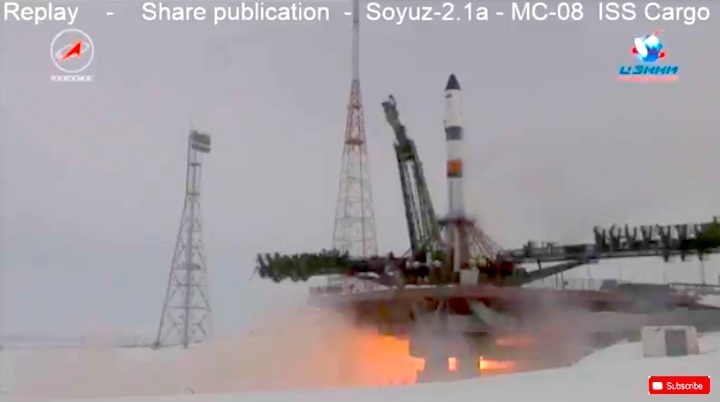 The ship was to deliver to the station about 2 tonnes of cargo. 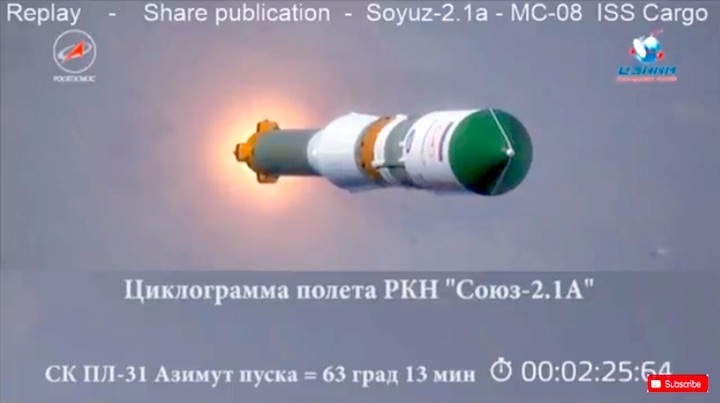 Earlier, a source told TASS the flight would be organized on a two-rotation scheme (two rotations around the Earth), though the final decision is due after the first rotation - in an hour and a half from the blastoff. 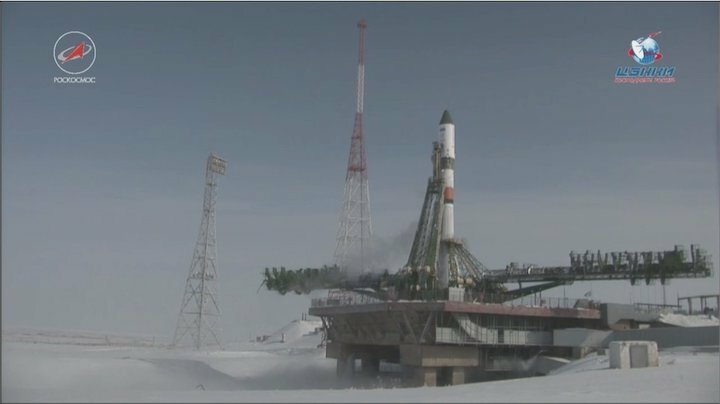 LIVE, Tuesday, Feb. 13, 2:45 a.m. EST: Progress 69 cargo craft launch. 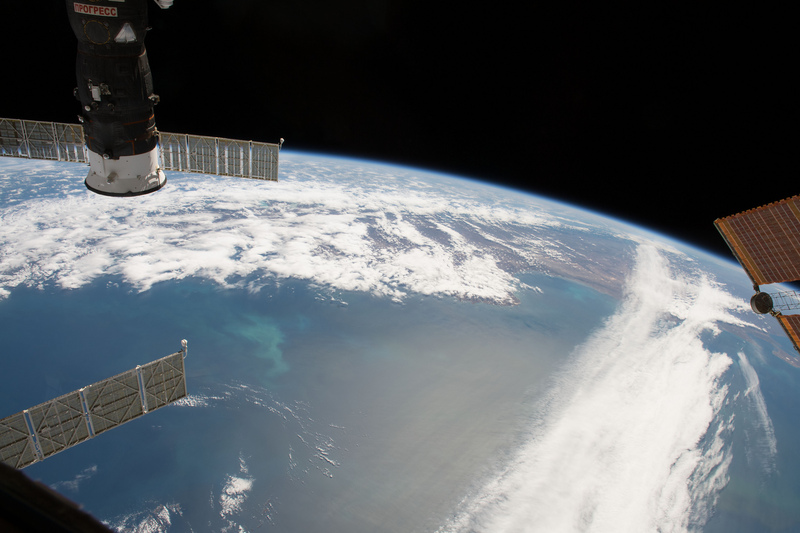 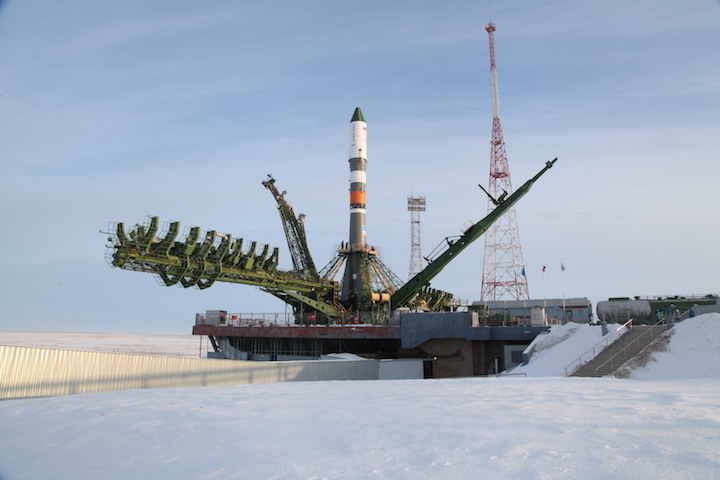 Loaded with three tons of food, fuel and supplies, a Russian Progress cargo spacecraft is scheduled to launch at 3:13 a.m. EST (2:13 p.m. Baikonur time) to resupply the International Space Station. 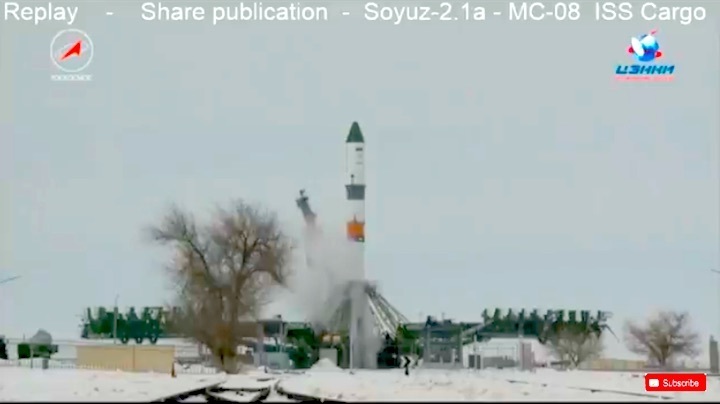 The previous launch attempt on Feb. 11 was automatically aborted shortly before liftoff.